Roofing System | Sevierville, TN | Valley Vista Construction, Inc.
As a home improvement expert in Sevierville, TN, Valley Vista Construction, Inc. is dedicated to offering the ultimate in customer satisfaction. This means addressing your needs exactly, ensuring you make the most of your investment. Valley Vista Construction, Inc. is proud to carry a range of roofing types, including asphalt shingles, metal, and single-ply membranes. When you give us a call, you’ll be provided with a thorough inspection free of charge, allowing us to assess if you’re due for repairs or replacement. If you’re dealing with storm damage, you can also count on Valley Vista Construction, Inc. to assist you. With us working with your insurance company, getting your Sevierville, TN, home or business back into shape should be no trouble at all. When it comes to your roofing needs, you want to work with someone who knows what they are doing. This is your home you’re talking about, after all. At Valley Vista Construction, Inc., our team of experts has been certified by GAF, guaranteeing you’re only working with specialists trusted by North America’s largest roofing manufacturer. This gives you peace of mind knowing that no matter the scope of your roofing project, it’s in good hands. 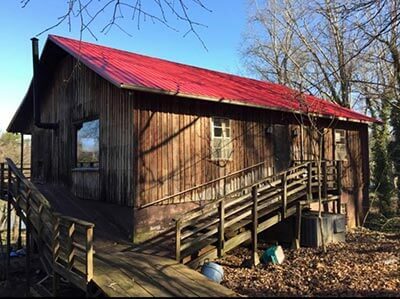 Valley Vista Construction, Inc. is proud to offer expert roofing and more to address the particular needs of homes and small businesses in Sevierville, TN. To learn more about our products and services and what we can do for you, just give us a call today at (865) 963-7003. We also have a contact form you can fill out to get in touch with us.